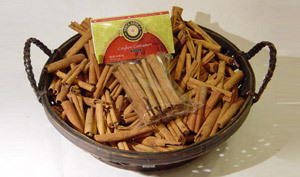 Known as the true cinnamon, this warm, sweet, slightly clove-and-citrus-like delicate flavor is sure to delight any confection or dessert. Add to Indian and Sri Lankan curries, teas, garam masalas and fragrant biryanies. A popular addition to a variety of Arab and North African dishes including baharat, ras-el-hanout, and berbere. Complements chocolate beverages and moles of Mexico.